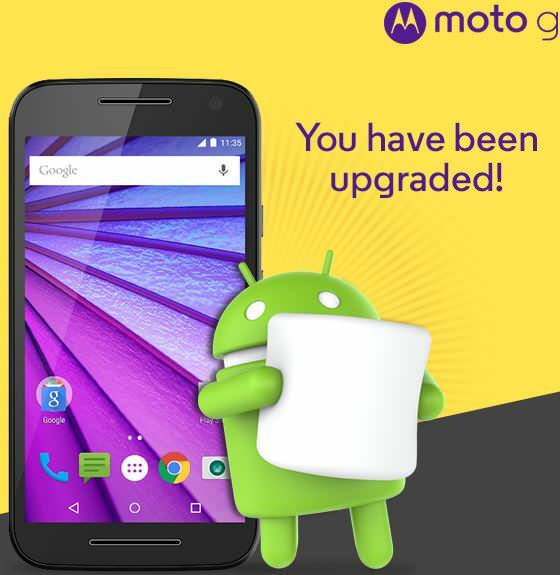 Motorola has announced the roll out of the Android Marshmallow update for the Moto G 3rd-gen smartphone in India. The Android Marshmallow update for the Moto G 3rd-gen is being rolled out soon after the brand released thesame for the Moto X Style and Moto X 2014 edition in India. Motorola hasn’t yet released the change-log of the Android Marshmallow update for the Moto G 3rd-gen. However, users can expect a handful of new features such as Doze mode that extends the battery life, new app permissions, Google Now on Tap, and simpler volume controls. The update also brings enhanced security features, and the Direct Share feature that lets you share pictures, news, links and more with your favourite contacts easily. The new firmware is being rolled out to Moto G 3rd-gen users over the air. You will be automatically notified about the update, but you can also do a manual check by going to Settings > About Phone > System Update.